This is a guest by reader Michael H. I think it was perfect for the “spirit” of my blog. Be careful newbies out there! And thanks to Michael H. for stepping up! I am a chump. You could also call me a mark, a sucker, or a pigeon. My descent into financial foolishness began innocently enough. As a 50-something dude with a few common aches and pains, my tolerance for long-haul flights in economy class was getting low. I wanted to treat my wife to a premium cabin ride across the Pond or the Pacific. There just HAD to be a way to get there other than “paying retail.” So onto the internet I went. Faster than you can say “Aeroplan,” the search engines took me to the answer: All I needed to do was get a few Chase cards and an AMEX Platinum. If I would just follow this sage advice, I too could be sipping Krug upfront with the thought leaders. For free! The cards were on the way faster than you could say “Avios.” Minimum spend requirements? No problem. I just bought a “few” things I told myself I’d buy anyway. This included a new travel wardrobe and a new camera for the glorious trips we’d soon be taking. Within a year, I had a nice stash of about 300,000 points and a couple of hotel certificates. I had flexible dates and was open to many destinations. I should be able to book a premium cabin faster than you could say “Rimowa.” Or so I thought. Until reality slapped me in the face. I found an award from the East Coast to London! All I would have to do first is fly from NY to Des Moines to LA to “position.” Then fly on to Ulaanbaatar for a 10-hour layover. This 50-hour award itinerary had so many positives. I could spend the layover in a lounge with unlimited yak meat and Mongolian vodka. Score! I could also use the time to blog about the quality of the nut mix, just like the entitled millennial blogger who pushes one credit card at a time. What luck! Okay, I just made that itinerary up. You probably know the feeling anyway. It’s like realizing you’re holding 10,000 shares of Enron stock. Those certificates may be worth something to a collector, but you can’t liquidate them to buy the groceries. Sure, my points are worth a treasure trove of economy rides in middle seats at off hours during off seasons. They may even buy domestic first class to Cleveland and a night at a Fairfield Inn. But unless I amass a boatload more points or want to experience the Ohio Riviera, they are effectively worth zero to me. 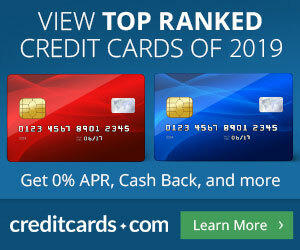 Most credit card pumping blogs are almost as credible as the folks who sell timeshares. The laws of supply and demand haven’t been repealed. If card pumping blogs can’t survive without thousands of new conversions, there are thousands of card churners out there with millions of points. All of them have one thing in common: Competing for the same shrinking award availability. You may out-hack all of them, hit the jackpot, and get that first class direct flight to your dream destination. Then again, you might win at Powerball. The “hobby” can still take you many great places. You can sometimes go where you want, when you want, at the redemption rate you want. Just not in the same trip. Pick any one out of the three. These insights may seem obvious. The thought leaders will tell you I’m dead wrong. Another credit card or 10 might be all I need to book the Etihad Residence easily. Bigfoot may also be roaming around Area 51.
Who am I to offer advice anyway? I’m not a thought leader and I’m not in on those billion mile secrets. I am a chump. You could also call me a mark, a sucker, or a pigeon. P.S. Please be gentle with me, I am doing this for freeeeee. There’s hope. Just use an award booking service to get your flights. Award booking sigtes are easy to find. They’re run by the same bloggers who told you to apply for the credit cards you appled for. I call this the “Liquor in the front, poker in the rear” business plan. Law of supply and demand applies to advice too! PS: Just finished a First Class round tripper on points ( Plus FREEEE Car and Hotel!) and had NO problem getting my seat and the GF’s seat. Row 1 is sweet! Keep working at the project, Michael and keep learning! Best written blog post ever here at TBB, is this Drew? You’ve summed it up quite well. My sense of the game, at least in its current form, is that it works pretty well in volume, as a continuous process. Less well as a way to save money occasionally. Once you get into it — just juggling the cards and the statuses (I’m not talking about the manufactured spend cats) — you find that there is plenty of low-hanging fruit and a lot of money to be saved; conversely, a lot of higher-end experiences that you might not have had you can now have almost routinely. But what happens when you try to explain to someone not (yet) in the game? You end up emphasizing rigidity and flexibility to them in a way that is counter to their existing tendencies. You have to be rigid to re-organize your wealth/income/expenses habits without taking on new expenditures and/or endangering whatever “wealth” you might already have: Spending more to chase points will, as you note, make you a chump. But you have to be flexible in the sense of knowing how all your new friends (cards, statuses) work, and opportunistic when opportunities present themselves (this contributes also to putting yourself in a virtuous cycle volume consumption at sub-wholesale-expense environment). Whereas most people are too rigid with their time and their sense of what they want or can do. Once I realized I loved Paris in January, too, game was on. Fabulous article! Recently taught my mom how to search award space after she kept asking me to check on different flights. “Oh the 2 pm works great.” How about the 5.5 hour duration?” “This one doesn’t leave at midnight.” I told her those wouldn’t have space and boy was I right! P.S. She never understood why I get so stressed out searching for flights. Hold on hold it’s thinking, the calendar’s loading, I’m on AA, not UA, there’s no space- oh wait I’m not signed in. Now she does! There’s award space on AA? Nice stuff, Michael. I dig a good rant, but keep in mind that most people here do get the tickets they want, somehow. Read Flyertalk, make friends on Twitter, and if you have a real question on how to get from A to B in J, try to post it here. I’m sure a few kind souls will give you a tip or 2. I am 2 out of 3 in getting rejected for a late checkout in this trip. LATE CHECKOUT! I even got me a Hundai, thanks Thrifty! Intercoastal view was walls and HVAC equipment. Thanks to Michael H. for stepping up! Other than my hacking fails…we are enjoying our little Florida escapade. 90 cents this week, sad! I think that is why they call it Travel “hacking.” It takes some work and research to use points optimally. And as much as I like to complain about award availability just like everyone else, I keep managing to book these family trips that are way beyond our means. I recently added up the cash value per mile/point and came to the conclusion I am basically getting 8-10% return on my credit card spend, which is incredible from my perspective. Just keep absorbing info, you will get there. Yeah, 300K to spend on two people is not gonna be any big luxury trip, and it is miserable working out how to get the tickets you want. Hotel points never had value for me, since I want to stay in the places I want to stay, and not some chain, but years ago I was able to get many thousands of dollars in first class & business class travel. Seems to me the collapse in the value of air miles, combined with the lack of meaningful ways to earn those miles and the difficulty in using those miles, has put an end to the hobby for most real people who are not kidding themselves about the opportunity cost of the time they spent. For me, the opportunity costs of the hobby skyrocketed a few years ago. You need to look hard at whether it would be a better use of your time to go after strategies that pay in cash rather than miles. Cash holds its value better than miles and is, of course, much easier to use. I am just back in Michigan and need to catch up. And wrap up tax season for the most part. And do 1st quarter billing. And decide the future of the blog. It is going to be a busy Easter weekend. True that. I wrote my post a bit tongue-in-cheek from the perspective of my formerly noob self. I think a lot of people start out like I did— actually believing the card pumpers that imply you’re only one signup bonus away from a free effortless trip. With more time, knowledge, and a few hundred thousand more points behind me, I’ve developed a reality-based strategy to get the experiences I want. This blog and a handful of others outside the Boarding Area have helped. But the most valuable resource has been the advice of people like those of you who’ve commented on my piece and the real talk on Flyertalk. Thanks for all of the kind and supportive comments about my post! I wish you all plenty of happiness, award availability, and late checkouts! Rimowa on!